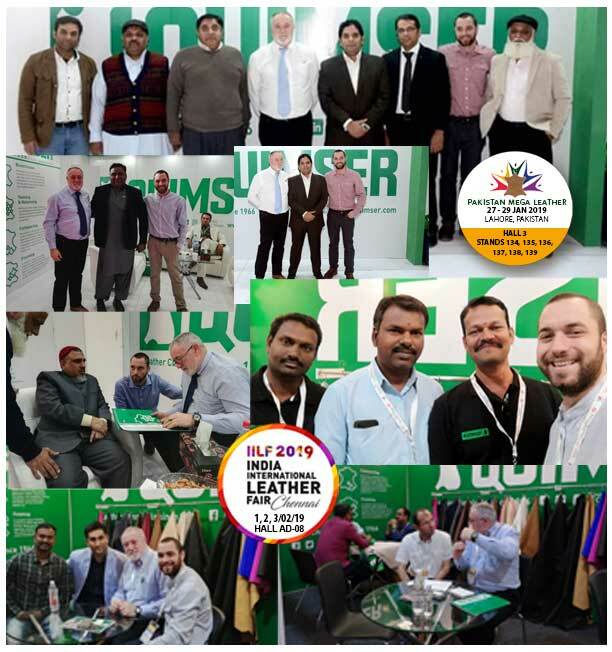 One more year, thanks to all those who visited us at Pakistan and India fairs | QUIMSER S.A.
As announced in previous newsletters, at the end of January and the beginning of February we were in the international fairs PAKISTAN MEGA LEATHER and INDIA INTERNATIONAL LEATHER FAIR in CHENNAI. The entire Quimser’s commercial team want to thank the positive reception that we had in both events, with the visit of both current and potential customers, who received a complete information of our products and solutions for the leather industry. We would like to express our sincere thanks to our local partners Beta Chemicals from Pakistan and from South India for their collaboration and support.